We are looking for the MIGHTY and the FUTURE! HomeWe are looking for the MIGHTY and the FUTURE! We are ready to continue kicking off our 2015-2016 season! 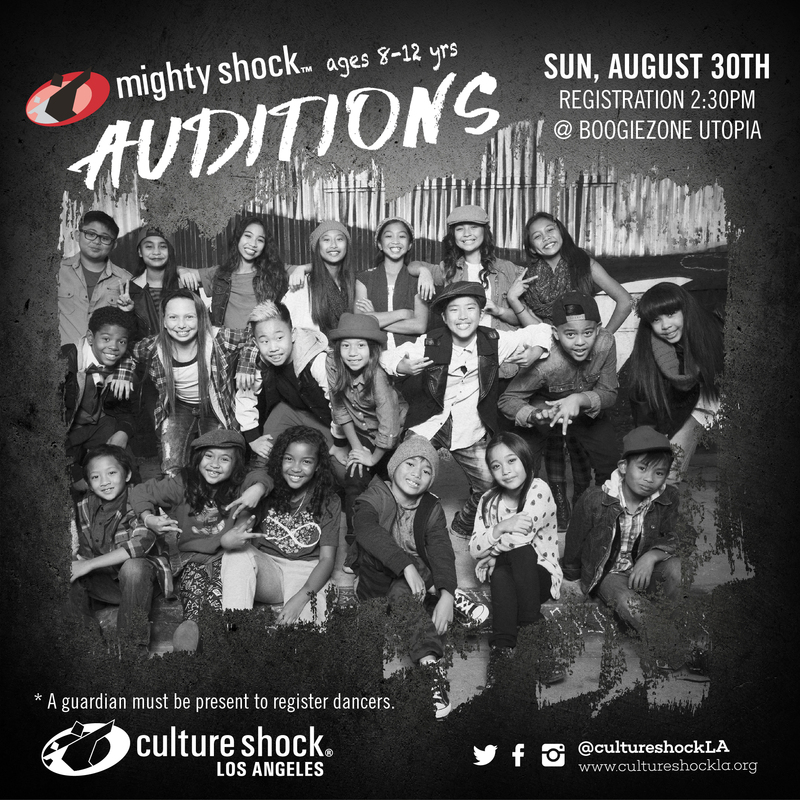 We already have our Mini Shock LA starting their new season off strong and we are ready for our remaining two youth companies to host their auditions this coming Sunday, August 30th at Boogiezone Utopia! Please see the details below for all the details, spread the word, and save the date. We hope to see you there! 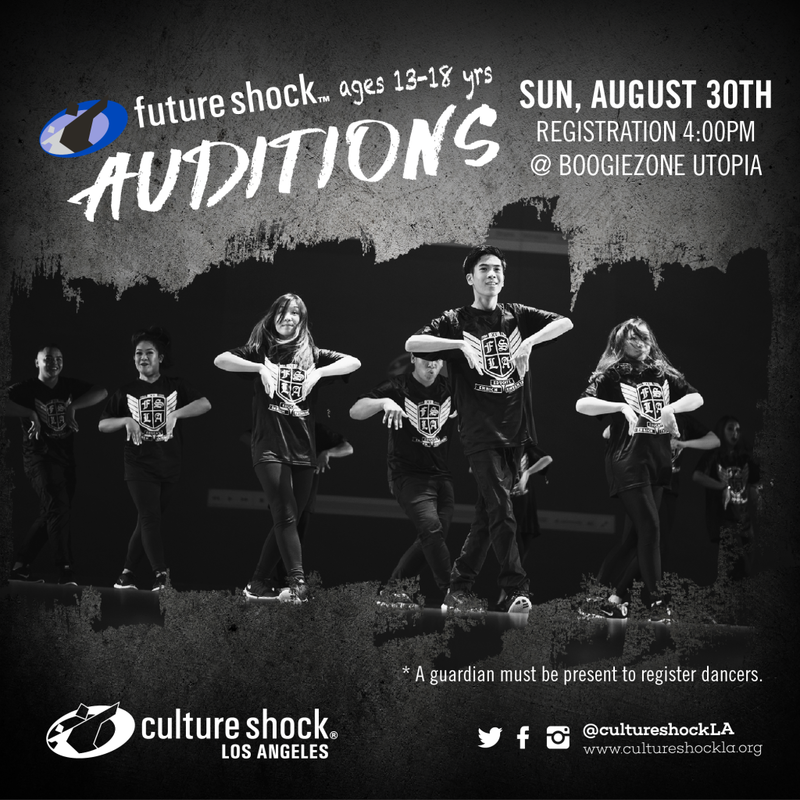 « Congratulations Mini Shock LA 2015-2016!